Stikhotvoreniya Stikhotvoreniia 1. 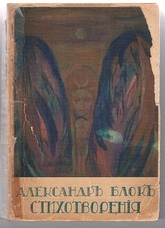 First volume of first complete collection. Kniga pervaya (1898 - 1904). Card covers featuring colour reproduction by Nikolai Millioti. I: Portrait frontis. photo of Blok as a young man. Upper cover chipped at edges, detached with fep but both present, lacks much of backstrip. Otherwise tight and complete. Owner inscription is dated 1921! ; Poems from 1898 - 1904. 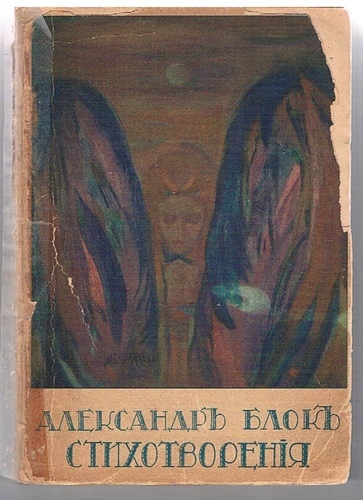 This collection was revised and augmented the following year and republished by Slovo (1923).